Our beginning ......military aviation has been a key part of NZ’s aviation story since 1912 when two New Zealand Army Staff officers were sent to the UK to “learn the science of flying”. In 1913 the Imperial Air Fleet Committee in London presented a Bleriot monoplane named ‘Britannia’ to New Zealand as the nucleus of a flying corps. It was flown briefly in New Zealand, and was returned to the United Kingdom (UK) in late 1914 to contribute to the war effort. Young New Zealanders were keen on flying, and during ‘The Great War’ two commercial New Zealand flying schools, part-funded by the British Government, trained 250 pilots for service with the Royal Naval Air Service and the Royal Flying Corps. At the end of WW1 and faced with the struggle to right the country's economy after four years of war, the New Zealand Government accepted several free ex-military aircraft from Britain, which were then passed to commercial companies. An Air Board was established in 1920 to administer aviation in New Zealand. Building the bonds ...so you can see the early military links to flying training and the establishment of the regulatory environment in New Zealand that grew out of our involvement in WW1. In another example of military/civil aviation engagement, between the wars the RNZAF played a key role in the development of aerial topdressing using Avengers, Dakotas, Bristol Freighters, Tiger Moths, Miles Whitney Straights and Miles Aerovans. This affiliation between the military and civilian aviation communities continued in a similar way after WW2 when the RNZAF was called on by the Government to assist with domestic and international commercial airline operations. Using Dakotas and Lodestars, these operations were absorbed by the New Zealand National Airways Corporation (NZNAC) in 1947, which was formed mainly with personnel and aircraft of No.40 Squadron RNZAF. Of note, the RNZAF’s connection with the Aviation Industry Association (now Aviation NZ) also goes back to the early days of the Association when the Air Force was represented on the AIA Board at the time. 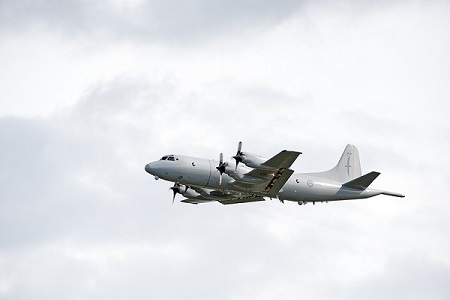 This historical link was an important factor in the RNZAF being invited to re-join the Board recently, together with ensuring the military aviation element had a voice in this important sector-wide body. We are also represented on a number of the Council Committees where our interests intersect. In another link to New Zealand’s early air transport capability, a major review of Defence Policy in 1961 re-oriented New Zealand's Defence efforts to the South Pacific, and to support for the Commonwealth Strategic Reserve forces in South East Asia, as well as meeting commitments to the allied treaties of ANZUS and SEATO. That year three Douglas DC-6B airliners (from Air New Zealand’s predecessor TEAL) joined No.40 Squadron for long haul transport duties. In the intervening years there are plenty of other examples of close interaction between the civil and military aviation sectors. While the RNZAF is its own airworthiness authority, we operate as closely as we can to normal civil aviation regulations and enjoy a very close relationship with the CAA. We also use many of the same aviation service companies; Airways, NZ Met Service, and aircraft maintenance and support companies such as Air New Zealand, Safe Air Limited, Aeromotive, and Beca to name just a few. And we contribute a good number of highly trained and skilled pilots and engineers into the civil sector after completion of military service. 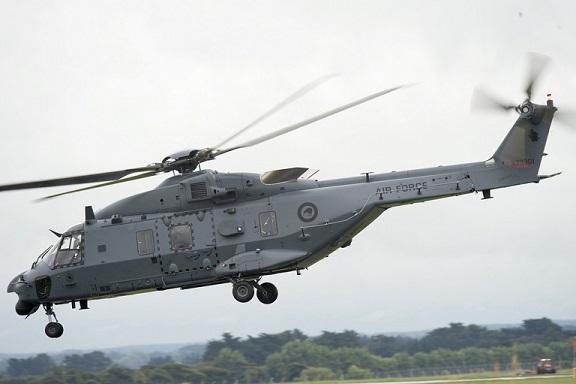 The RNZAF has around 2700 personnel, both military and civilian, with a collective personnel budget of around NZ$133m that feeds directly into the local economy. We currently operate around 60 aircraft across 10 fleets. Our operating budget spend is around NZ$158m, much of which is spent in New Zealand, so we do have a reasonably significant national impact in financial terms. Through our major projects we provide investment in new technologies and enable up-skilling of our aviation professionals along the way. We also have links with the General Aviation community through RNZAC air rallies, support to aviation seminars, as well as links to a wide variety of training organisations that support the civil aviation sector, not to mention our involvement in civil air shows. As we look to the future, we are well into a decade-long period of replacing and upgrading every one of our operational and training aircraft fleets. By 2015 we will have transformed from a 1980s era technology level Air Force to an all glass-cockpit, modern and capable Air Force that is able to operate globally to undertake and support the Government’s defence and security missions. Our present and future capability owes much to our historical and current linkages with the civil sector, and in turn we trust that we provide value the other way. I hope that this article has enlightened readers to the longstanding and close relationship that has existed between the military and civil aviation communities since almost the dawn of aviation in New Zealand. It is important that we not only understand each other, but are also conscious of the opportunities that exist for us to continue to work closely together in the future for the benefit of New Zealand. Editorial note as we all now know AVM Peter Stockwell becomes MD Peter Stockwell in late February next year and while we farewell Peter from a leadership role on our Board we now welcome him into a critical leadership role in our civilian aviation training sector at CTC Aviation. We’d also like to pass our heartfelt condolences on to the family and friends of David Jones who died in a helicopter accident on 11 December. Departure of Rob Irwin from Airways Corporation after 35 years. Yes it is true that Rob’s joining the brain drain and becoming one of Airservice Australia’s key relationship managers based in Brisbane. Rob has been instrumental in managing Airways New Zealand’s strategic relationship with the GA community – he assures me he’s looking for the quieter life – minimal travel, latté’s on the River and customers with deep pockets and lots of money !!!!! ACAG - the new terms of reference have been approved for our sector representatives who deal with the regulatory framework (click here). At the last moment we managed to ensure AEANZ received a permanent slot on the Group as opposed to a non descript representative of the Engineering community. We cannot stress how critical this group is to our future because the front end policy work is really gaining enormous momentum and CAA are really focused on dealing with issues. We’d also like to acknowledge our commercial aviation sector participants on this committee and particularly the work of Mike Groome. As he reflected yesterday he feels at times like he needs an Office at CAA!!! Divisional chair are working hard now to build this conference as the showcase for our new Brand “Aviation New Zealand” and building ourselves toward the “One Industry One Voice” platform. As part of this we hope to announce in the New Year some significant developments in terms of tailored and focused safety programmes. We’ve a bit more work to do with our key partners but watch this space. We’re working on a new “back of office” booking engine and as soon as we have that in place we’ll let you know but pricing is essentially unchanged from last year with recognition of loyal attendees. Regulations Review Committee – the biggest question this week from our avid readers was ‘will we win?’ The short answer is the present fees and charges and future hourly rates are unsustainable. Our experience under this scenario suggests there will inevitably be change, and we are doing our level best to ensure it is sooner rather than later. As an aside, our very earnest media are reporting that we represent the Aviation Authorities and Graeme Harris spoke in support of our submission. This is another reason why you should never pass up a good story! AC 91-21 we are being advised that this AC in its present form as it relates to GPS systems presently fitted to aircraft is potentially very expensive unless the draft is changed – we’d appreciate some advice from those in the know on this point. HSE legislation our submission is being considered at the present time, however, the more important issue is expect/anticipate a draft Bill into the House very early next year and this is going to be through well before Wellington goes into Election mode. 24 January RPAS (UAV’s or UAS) Interim approach to Regulation (click here) as this affects every aviator across New Zealand and the RPAS community who are now actively engaged with Aviation New Zealand, we are developing a combined collaborative approach. 7 March GD on Colour Vision - submissions now due 7 March. Guest editorials - as we have said these are going down a treat and generating real excitement both within the companies/organisations as they read a bit about themselves which they may not know and from others want to “pinch out stuff”. Well we are not giving up these editorials lightly because we have multiple uses for them (with the guest’s agreement of course). You will find Mike Newman’s comments on pilot training on our home page and that attracted a number of readers and other’s we intend to use to great a comprehensive and on-going story which we can send to key stakeholders about every aspect of aviation in New Zealand. So if you want to promote your sector and the role you play in it please feel free to contribute. We have one or two editorials lined up for next year but we need another 48 – so over your Xmas break there’s the challenge!!!!! Delivery of Air Services in remote Australia. The Department of Infrastructure and Regional Development has issued two RFTs under the Remote Air Services Subsidy scheme (RASS) for the supply of passenger (but not tourist) and freight services into the Pilbara and the Tri-State area of Western Australia, Northern Territory and South Australia. Bids close 10 January 2014. Tender docs are available on the AusTender site – RFT10010462 for Pilbara and RFT10010463 for Tri-State. Invitations to bid under the Pacific Aviation Investment Project have been issued for resurfacing of the runways and markings at Fua’amotua Airport and Lupepau’u Airport in Tonga, and at Funafuti Airport in Tuvalu, as well as resurfacing the Funafuti Airport Road in Tuvalu. Bids close 1400 on 12 February 2014. Further information is available from The PAIP TFSU Office by email to Anne-Marie Bishop at ambishous@ozemail.com.au All bids must be accompanied by a bid security of US$350,000 for the three airports projects and US$100,000 for the airport road project in Tuvalu. Airport ownership and opportunities. Interesting to see developments around the World: Changi Airports from Singapore has just won the concession to manage and develop the main airport in Rio de Janeiro, Brazil; GVK from India is developing the non-aeronautical commercial operations at Bali Airport in Indonesia and has an agreement with Angkasa Pura Airports to develop a greenfields airport at Yogyakarta; and GMR from India is also looking to get involved in airport development in Indonesia. So, a relationship with one of these companies in its home market can open up opportunities in other parts of the World. Anticipate some further changes coming through. Approval has been given to a series of changes all designed to encourage General Aviation operators into the scheme. Navigatus have advised that Peter Wakefield, their lead auditor, has resigned however, they have a group of very experienced aviation auditors regionally based ready to step up. We thank Peter for all his work during the period he has been with Navigatus and wish him well. 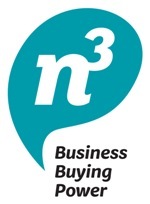 N3 Trade Card click here - if you are a member and you haven't got your card let us know. The savings more than offset membership costs.